Can I cast Instant speed spells in between Pyromancer Ascension Copies? Manamorphose + Reverberate, do I need 4 mana? manamorphose do you HAVE to pick the color of mana before drawing? 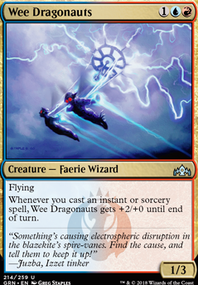 ANemoAcids Simian Spirit Guide is super important because it allows us to cast Seismic Assault or Lightning Storm , but Manamorphose is definitely something we've considered! The issue I've found is it's a little awkward cantripping when you would like it to be in your hand to Exile to Allosaurus Rider . Manamorphose over simian spirit guides gives you more green spells for more green spell consistency, manafixing that you're slightly using Cantor for, and still digs a little bit through your deck. Thoughts? As expected, the deck is now a bit more survivable, but having decimated all my card draw for the deck, it doesn't take long for my hand to be empty with not a lot of ways of getting cards back. i can't count Faithless Looting because it drops the cards I want, going -3. It's not supposed to be an issue, and yet, it is. I catch myself looking at Manamorphose once again. The issue is what I would even take out for it? Trying to scrounge for ideas, I see other Vampire decks using things like Asylum Visitor and Insolent Neonate , but both have distinct issues. Neonate is a 1/1 with Menace, which is nice at the start of the game, whereas Asylum Visitor is more towards mid and late game. I'll need time to think on it. Distortion Strike is in my opinion strictly better than Artful Dodge . Faithless Looting doesn't really fit in this. Opt , or Manamorphose or more Serum Visions would be better for actual card advantage. Stubborn Denial interacts with Kiln Fiend and Nivix, and it goes wider, might be worth testing over Dispel . 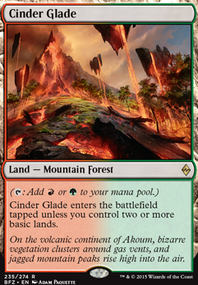 Also some fetchlands like 4x Flooded Strand s to filter your deck so you draw into better cards would help consistency. +1 and have fun smashing face. I really enjoy this card. 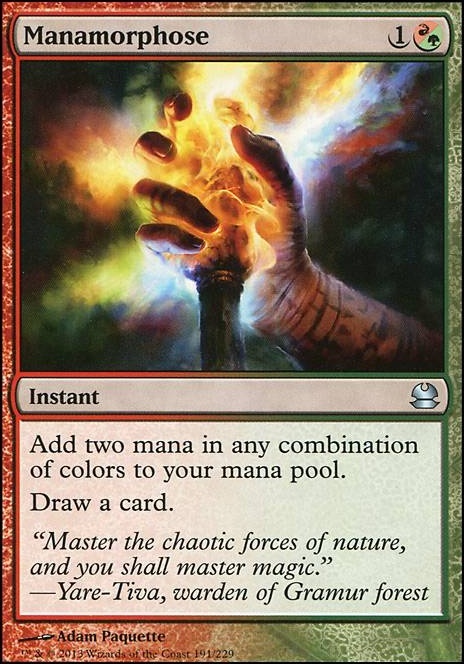 It gives me two colors I may need and lets me draw a card for, essentially, free. So why don't I want it in the deck? Well... Risk Factor and Faithless Looting have something to do with it. Both are much better draw cards and, while you could argue I could walk into either of those, when it comes time to discard cards, which this deck is all about, Manamorphose contributes nothing past my card advantage. 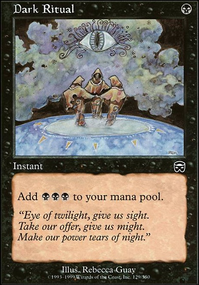 It does nothing in the graveyard, and this deck makes that a no no, which means when it comes time to discard, and I need to discard something good with Madness or Jump-Start, this is a dead card in hand to discard. You could say that I use it to then draw something I can use. I have debated about it, but the biggest issue with the deck right now is cutting down on chaff. As of writing this, it's at 74 cards and that is simply unacceptable. Getting rid of this card saves time and hassle with this deck.